The restaurant and tourism industry entered the New Year with the threat of Brexit looming and the reality of a hike in Vat rates that produced a price rise and complaints from Dublin coffee shops. With much of the country still on holiday, it was difficult to assess the impact of the rise in Vat from the temporary 9pc rate that the hospitality industry has enjoyed since July 2011 – when it was introduced to fight a deep recession – to the 13.5pc main rate. Some retailers immediately passed the rise onto consumers. The price of a cup of coffee at Dublin-based chain 3FE rose 4pc from €3.50 to €3.65, while at Insomnia, a 12-ounce Americano rose 10 cent to €2.80. “When good and bad things happen, people tend to look at the price of a cappucino,” 3FE founder Colin Harmon told the Irish Independent. If people were looking at the price of a cappuccino, it was likely to be the more affluent members of society. According to research from the Department of Finance, the Vat cut cost €2.6bn in lost revenues and disproportionately benefited the better off who have higher levels of disposable discretionary income. The Vat cut had also worked. Employment levels in the sectors covered by the emergency rate surpassed their previous peak in the second half of 2014, while all other services only hit those levels in early 2016. The tourism and accommodation industry counters that it is one of the few with a footprint throughout the country, employing 270,000 workers. 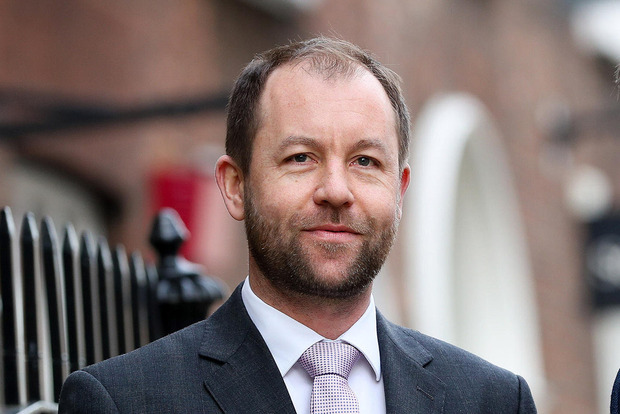 With Brexit looming, which the Irish Tourism Industry Confederation and Fáilte Ireland say could cost as much as €390m, the Government risks sucking money out that could have been used for investment in staff and facilities, said Irish Tourism Industry Confederation CEO Eoghan O’Mara Walsh. “The Government gave no time for the sector to adjust,” Mr Walsh told the Irish Independent. Given the proliferation of pricey coffee shops in the capital, the sector was at risk of a shake-out as Bord Bia warned in a recent report that city centres had reached “saturation point” for cafes. This isn’t the first time however that the fate of coffee shops has become a political issue. Newly-released Cabinet documents from the State archive reveal former Taoiseach Garret FitzGerald pressed for a government bailout for the Bewley’s chain in 1986.